TEAMGROUP Color C145 pen drive features a sliding USB connector, which smoothly extends from the drive at the push of a thumb in only one second. Cap-less design eliminates the problem of lost drive caps. The scratch-free, 3D-feel, matte and glossy contrasting texture and streamlined exterior design with ergonomic push button make C145 more elegant and comfortable than ever. With ultra-thin 8.4mm design, C145, which is designed to enhance the user experience, fits comfortably between thumb and finger, the easy-to-grip contoured design requires minimal effort when unplugging from a USB port. C145 is fully compatible with High-Speed USB 3.0 interface, up to 128GB storage capacity and different colors for selection. 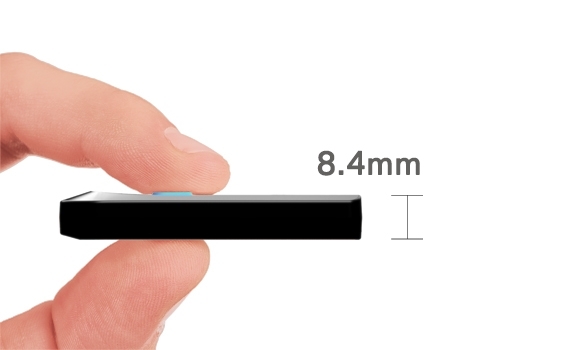 With a thickness of just 8.4 mm, A compact design of C145 fits easily into your pocket or computer bag. Combining a glossy contrasted texture with ample capacity, C145 USB flash drive packs a generous capacity into a racing-car-style exterior design USB drive. Available in sizes up to 128GB, the flash drive can accommodate photos, songs, videos, and all of your favorite data. You can simply Plug-N-Play those data via high-speed USB 3.0 interface in few seconds. The USB connector is covered in the fully-protected body without a drive cap. A simple thumb swipe forward makes it ready to use, and retract USB connector for protecting it from damage when it's not in use. Providing more than 10,000 usage times durability and Lifetime warranty, C145, with multi-colors for selection, is your best portable storage device on daily basis.